The attack on the Supreme Court is not really any different than the ongoing attack on the President. This is just another tactic of the same coup to take down the nation. They already have half of the Senate and slightly less than half of the House of Representatives not to mention the upper levels of the FBI, CIA and DNI, all of Hollywood and the mainstream media. Had Hillary won, they would now be celebrating their 5th or 6th Supreme Court Justice and working on finishing off Congress. Perilous times. Soros must go. There is no compromise with Progressive radicals, they must be defeated soundly. There is good news however bleak it seems at times, especially the way the socialist media reports their version of the news: there are still good men and women in key positions, including most importantly our President and I believe most of our military who are aware of and boldly fighting this coup attempt. Democrats are acting like cornered animals with nothing to lose and everything to gain for a reason....because they are cornered and everything is on the line now. -W.E. Far-left Protestors are gathering for tomorrow’s Senate Hearings and many are being bussed in to disrupt the event by Soros sponsored entities! 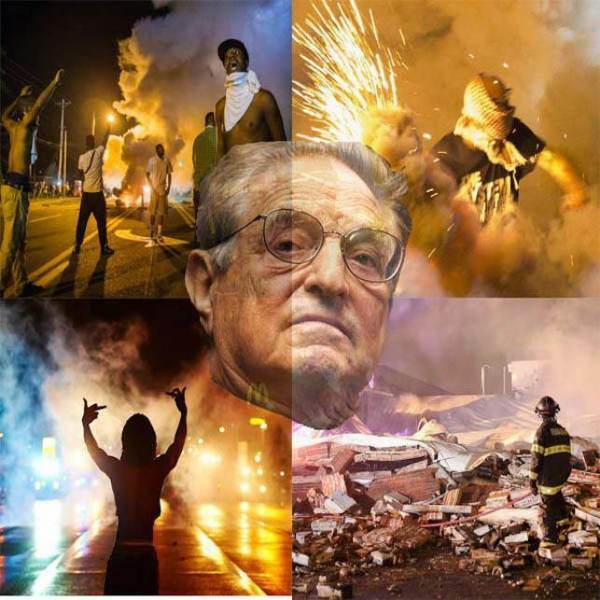 Why are good Christians helping a far left radical, George Soros, use groups he is funding to attempt to overthrow the nomination of Christian and conservative Judge Kavanaugh?